I recently attended a talk by Journalist Susie Steiner (at Faber) who told us that she had used the services of a professional editor to go through her novel before she started to send it out to agents. She urged us to do the same saying that she was confident that it was one of the reasons her novel had ended up in a bidding war between a handful of the top London Agents. She believes that it is a small price to pay to appear professional and serious about publishing your novel. I tend to agree. Why not try to make your novel the best it can be before submitting it to agents and publishers? So today’s blog guest to continue our editing theme is The Proof Fairy AKA Alison Neale. It seems strange, but only a few years ago it was difficult to become a published author. There were two routes – you were lucky enough to be picked up by a publisher, or you paid a dodgy company to “vanity publish” your book. Now, of course, it’s different. The introduction of e-readers – especially Amazon’s Kindle – makes it easy for anyone to be an author. All you have to do is write a book, upload it and wait for the sales to roll in, right? Many self-publishing authors cut corners by missing out the editing and proofreading stage. The result? Thousands of books out there with fantastic plots and characters that make very few sales because they are badly written. If only those authors had employed an editor, it could have been a different story! A content editor will “sanity check” your book by looking for plot holes, inconsistencies and inaccuracies. Many self-publishing authors use “beta readers” for this stage of the editing and that’s probably the best way to go about it. Call on a dozen trusted friends to tell you – honestly – what they think of your book. Take on board their feedback and make the appropriate changes. Your book will be all the better for it! A copyeditor reads your book line by line looking for spelling and grammatical errors, clunky text and more. A good copyeditor will create a style list that includes particular phrases, character names and locations – for example, whether you use OK or okay – to ensure styles are used consistently throughout. They’ll also raise any queries with you. In mainstream publishing you’ll normally receive your manuscript back from the copyeditor, make changes and then send it for proofreading – but many copyeditors also proofread as they go along. A proofreader inspects the final page proofs to check there are no missed typos, the formatting is consistent, page numbers are in sequence etc. However, proofreading can actually happen alongside copyediting, making the process quicker and less expensive. Bear in mind that you need to have your book (or parts of it) proofread every time you make changes, as it’s easy for mistakes to creep in. Don’t be fooled into thinking editing is something you can do yourself. By the time you’ve planned, written, rewritten and edited your book, you will be so familiar with the plot and the characters you’ll overlook even the most obvious mistakes. For example, I once proofread a novel where a character’s name switched from Tracey to Tracy and back again from chapter to chapter. The author knew what the character was called but just didn’t spot the change in spelling – because he was too close to the book. There are thousands of self-published books out there and you want to stand out from the crowd. Editing may be an expense you don’t feel you can justify – but when it makes the difference between a handful of sales and a best seller, it’s an expense you shouldn’t avoid. 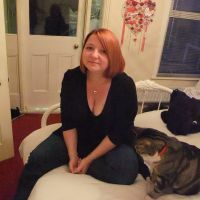 Alison Neale, AKA The Proof Fairy offers professional proofreading and editing to authors and business owners. Based in Oxfordshire, she reads anything she can get her hands on! She is currently partway through writing her own book, about parenting a child with ADHD. Away from the office she loves football, food and family – not necessarily in that order! Take a look at some of the books Alison has worked on. Have you ever used or considered using a professional editor? This entry was tagged Author, copy edit, Editing, Guest Posts, My Blog Guest, postaday, proofread, Publishing, The Proof Fairy, Writer, Writer Resources, Writers Resources, Writing. Bookmark the permalink. I have – but good ones are hard to find. You need a proofread every time you make changes and your proofreader may not want to read your story five times 😉 They also get too used to it and can start missing things as well. So essentially, you need many eyes going over the work before it’s ready to go off to a publisher (who will probably do it all again and suggest changes). This is why I recommend the various levels that I do. 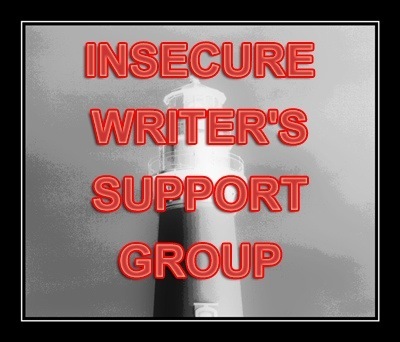 First, work with a writing group to finish your manuscript. Then have a few beta readers take a look at it – they will also help find plot inconsistencies and problematic sections. You can also have these done, very frequently, by folks at no charge by offering to provide the same service for them. Then I recommend a good content editor, then the line/copy editing, and finally a proofreader. Ultimately, it’s best to have a different person for each level to avoid overfamiliarity with the manuscript. Smart & to the point. A Quick Guide To Editing For Self-Publishing Authors. Definitely worth sharing. Enjoy reading. Allison is very right! I have recently seen several major review blogs announce that they will no longer review self-published books (unless they are by someone the bloggers are already familiar with) because so many self-published works are unedited messes. It’s unfortunate, because you know they’re throwing out the baby with the bathwater, but we reviewers are busy folks. Now, I’m an editor – according to this list, I’m a copy editor, but I call myself a line editor. I recommend that even before the content editing a writer work with both a writing group and with some beta readers. I also recommend separate copy/line editors and proofreaders, because even copy editors can become too familiar with the story. A fresh set of eyes really is needed for that final polishing pass, just to be safe. Personally, I don’t like to go through a manuscript more than two or three times, because at that point I start having the same problem as the person who wrote it, by missing out on subtle things. And names are the worst! I’ve come close to missing something along the lines of the Tracy/Tracey thing. I’ve had to go back and search for the different spellings of the name to find the one that was used the most and go with that. Anyway, great post! A lot of authors think they can’t afford a decent editor, but keep in mind that I am not the only one to offer a barter-for-services option. If you want your book to be its best – track down one of us! Thanks Sara, but why do so many people think they can get away without one? Haha I know, good question! Another tip-top post, Vikki! And some useful editing contacts – thank you! 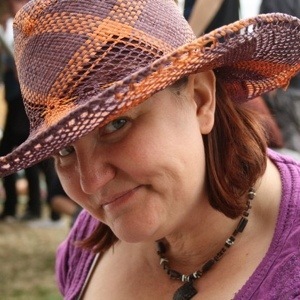 Great post, Alison … and thank you Vikki for introducing us. I think the lawyer’s expression … “the person who defends themselves has a fool for a client” fits this topic. When the time comes, I am going to hire an editor, for sure. I’ve had beta readers and they have helped, but there comes a time for a professional to step in. Yes, find yourself a trustworthy, experienced, objective editor. I’m an editor which I kind of fell into when I was helping a friend with his book. He said I should do this kind of thing for a living, so I started freelance editing. My favorite part of the editing process is the content editing, where I can really analyze the plot, character development, structure, setting, etc. Sometimes, when the book is good, I’ll forget I’m supposed to be editing and start reading it for enjoyment. That’s a good thing, because it means the story is working and it’s holding my attention. Professional editing is extremely important if you care about your book at all. I am finding all kinds of good posts today. Here is another one that is really helpful for current and aspiring writers. Glad to hear you’ve found it helpful! I’m heading into the professional edit stage myself. Have a friend who is a published author in the Canadian Authors Association who does it. I definitely think that this is an essential aspect to any author’s process. Some of the writers I admire, Joanna Penn, K.M. Weiland, and Roz Morris, recommend it. So we’ll see where it goes. I have an agent and editor potentially interested and willing to wait until I have the final edits done. Eeeee! Oh Melanie HOW EXCITING!!!!!! 🙂 good luck!